There are a few dishes that are clearly associated with the Irish. 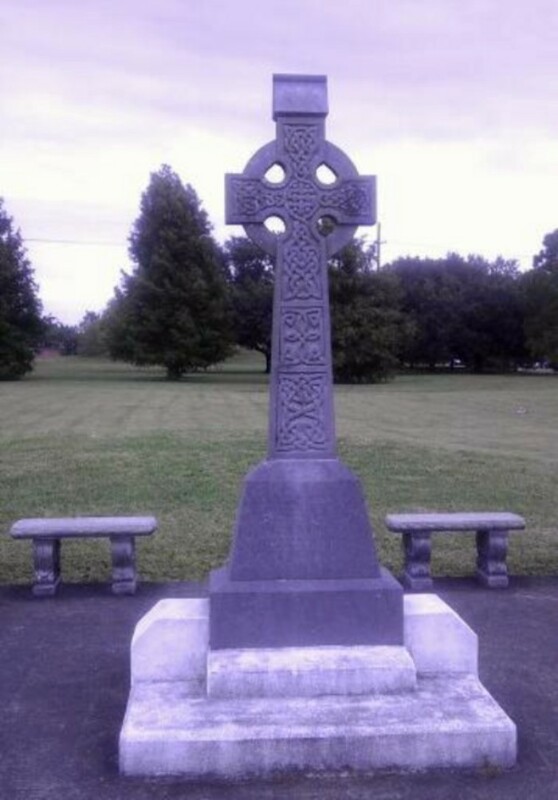 In many cases, however, they are not really Irish. They may have been altered for various reasons, but they are still called “Irish.” One is, of course, Corned Beef and Cabbage. This favorite for St. Patrick’s Day in the United States is not really Irish but is a variant of the popular Irish dish called “Cabbage and Bacon” -- which is made with a type of bacon similar to what is called Canadian bacon in America. Corned Beef and Cabbage is still a great dish, and we really cannot have a proper St. Patrick’s Day feast without it. Other popular Irish dishes or recipes in the USA would be Irish Soda Bread, Irish Potato Soup, Shepherd's Pie, and, of course, Irish Coffee. But one of the most classic Irish dishes is Irish Stew. With a climate in Ireland that is often cool to cold and usually damp, what is more comforting than a large bowl of hot Irish stew. But the question is what makes up real Irish Stew? Of course, there is no one answer. People will argue about this. Originally, it was probably just lamb or mutton plus some root vegetables. (Lamb is from young sheep; mutton is from old sheep.) Potatoes were added, of course. The general idea today is, however, that the stew consists of meat, onions, and potatoes. It might include other root vegetables popular in Ireland like turnips and carrots. The meat would be what is or was available in Ireland. That would be the meat from lamb, sheep, or even goats (especially in olden days). Mutton, the meat from older sheep, was most often used; it was tough and cheap but flavorful and was cooked slowly. In the United States, the easiest meat to get, and the type most popular would be, of course, none of the above. It would instead be beef. Can anything else go in it? Yes. All recipes evolve over time, although some people might argue that if the recipe changes too much from the original -- whatever that might be -- then the dish becomes not a mere variant but something entirely new. 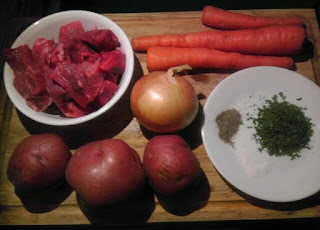 The main thing is that Irish Stew was and is a basic, healthy, and inexpensive meal originally eaten by Irish peasants and usually has three ingredients -- meat, potatoes, and vegetables, usually just onions ... and water to make a gravy. It is interesting to note that before the 1500s the Irish would not have added potatoes. Why not? Because the potato came originally from South America, and it would not have arrived in Ireland until explorers brought it back from the New World to Europe. Eventually, the potato became the most important staple of Irish food. And like almost everything in Ireland, for centuries, the potato was a political as well as an agricultural subject. 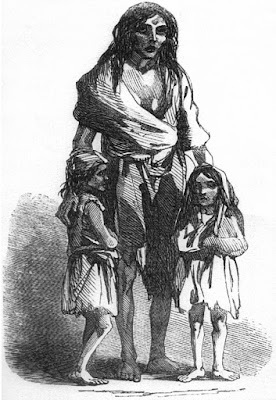 In fact, the Irish Potato Famine (Great Hunger) was not really about food; it was about politics. But that is another story, for another day. 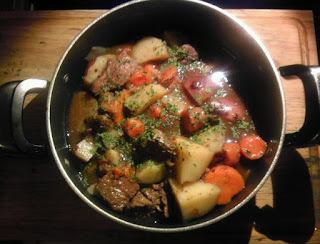 The Irish Food Board called “Bord Bia” gives its own recipe for Irish Stew. ( See Bord Bia.) The Irish Food Board is the Irish government’s agency which supports the Irish food industry and its agricultural products worldwide. Its recipe includes the neck or shoulder of lamb, onions, carrots, and potatoes. Those are some of the traditional elements -- meat, root vegetables, and potatoes. Then it adds other items such as other vegetables -- leeks, turnips, cabbage, and parsley. Plus spices like thyme and bayleaf. Sometimes we might find recipes that add beer or barley to the stew. Sometimes we might find recipes that have a thin broth only for the liquidy stew and other times a thicker gravy, usually by adding flour or a brown gravy mix. In fact, there are many ways to make Irish stew. Here is a basic plan I used and have included a few photos. I will not give a precise recipe because I think people should create the stew the way they like it by experimenting with it. Add what you like and in the proportions you think are best. 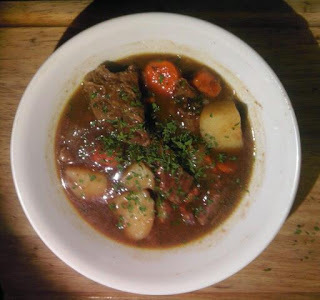 You will probably find the “Irish Stew” that’s right for you and your family. I use the main four ingredients -- meat, potatoes, onions, carrots. Spices are sea salt, black pepper, and dried parsley, and just a bit of brown sugar. The meat I use is a pound of beef cut into cubes. Just ask your butcher for beef stew meat. I also add a can of beef broth and a packet of dry brown gravy mix. I cook it on top of the stove -- which is the traditional Irish way since in ancient Ireland people would use a cauldron on a fireplace and not an oven. So, a pot on top of the stove simulates a cauldron on an open fire. You can add a pinch or two of brown sugar just to add a little sweetness. Just put it all together (you can brown your meat first if you want); and cook it low and slow until the meat is tender and the vegetables are done. The result will be a great meal for your and your family or friends and a brief adventure into Irish history. Sources and further reading: Irish Food Board, Bord Bia, recipe for Irish Stew at http://www.bordbia.ie/consumer/recipes/lamb/pages/irishstew.aspx ; An article on different types of Irish stew from the Chicago Tribune, “Dueling Stews” by Judy Hevrdejs at http://articles.chicagotribune.com/2012-03-14/features/sc-food-0309-irish-stew-20120314_1_irish-stew-guinness-storehouse-barley ; Wikipedia’s aticle on “Irish Stew” at https://en.wikipedia.org/wiki/Irish_stew ; All of the photos in this article are by Adrian McGrath. This is not stew as I know it. Should the ingredients not be boiled in water, ie: stewed? 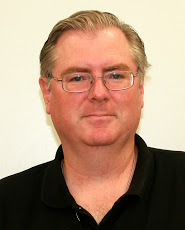 Thanks, Ed, for your comments. Yes, there are many ways to make Irish Stew. It is probably made differently in Ireland than in the USA and indeed from household to household everywhere. I do stew mine by putting the meat, potatoes, and vegetables in a pot with beef broth and cooking.